We live in an area that is semi-country. We are definitely not a suburb, but we do have houses around us. Most of the houses are on a half acre to one acre lot. We have four acres, so we are like a farmette or a homestead. 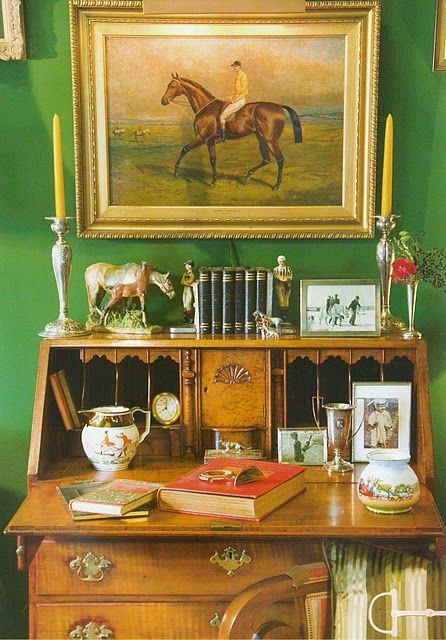 For years I've decorated in an eclectic cottage style, because I used what we had, furniture wise, and most of it was free. Also we were raising 6 kids here and didn't want anything too precious to us that we had to worry about it getting ruined. 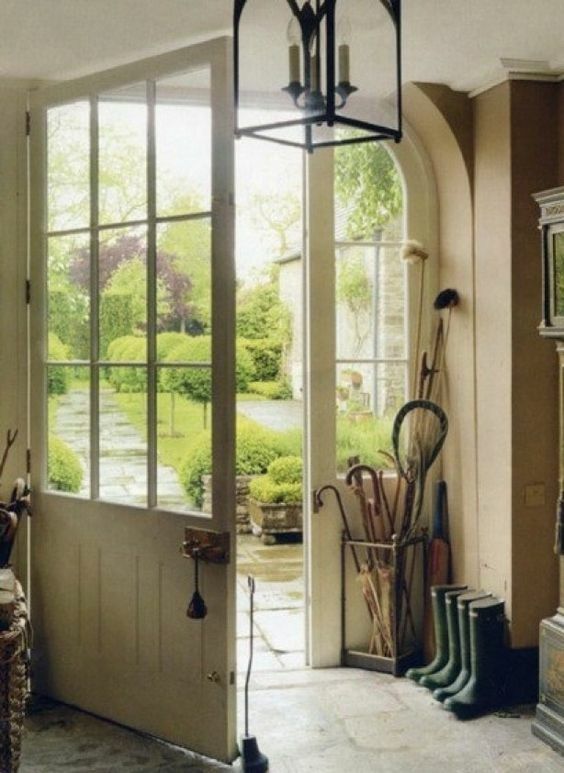 I've always loved English Country Houses, and have begun to style my 'grown up' home this way, now that we mostly have to kids left at home and they are teenagers. 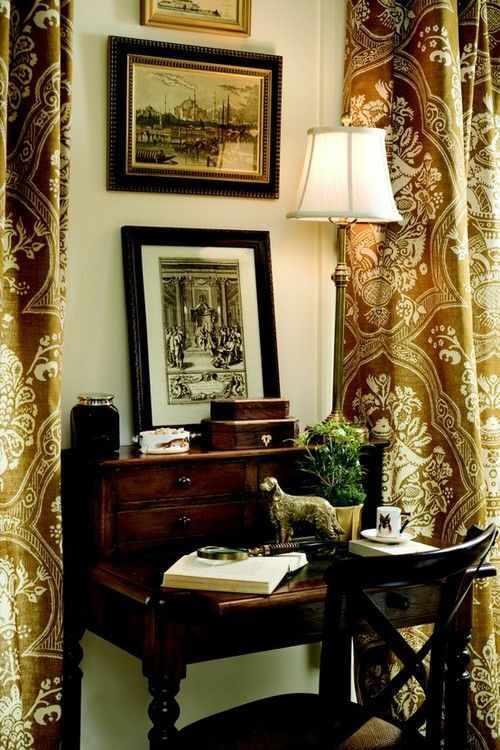 Here are some photos I've pinned on my Pinterest board For The Home. I already have wood floors like this, its just lighter. 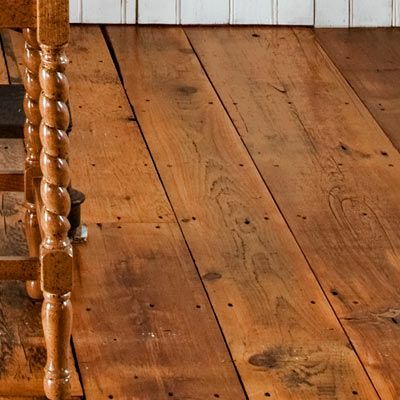 I do love this color, and hope that we have move toward this tone in our floors. 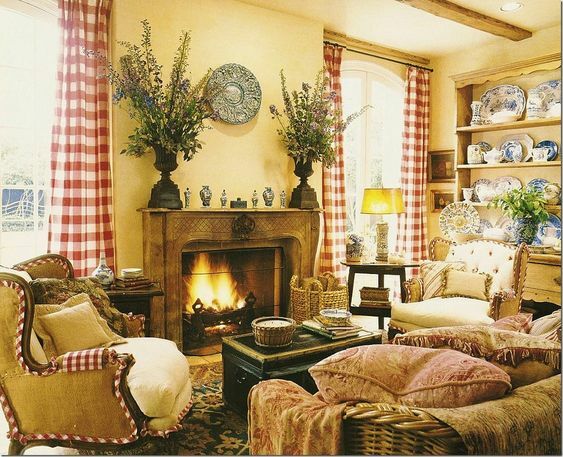 I love the cozy, warm feeling in these rooms. 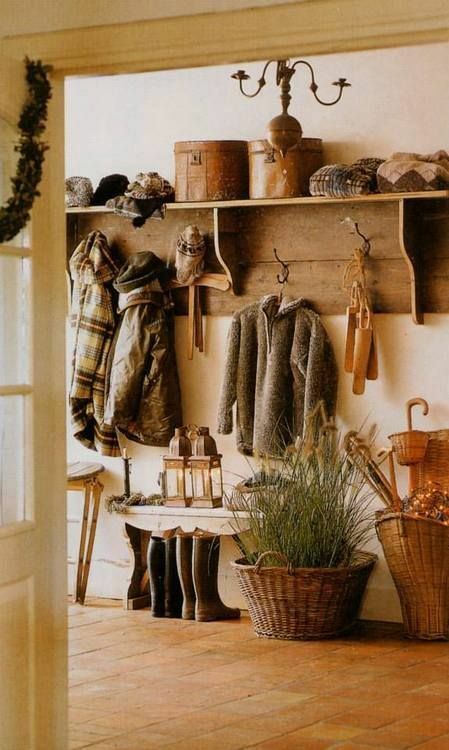 I love this entryway but our home doesn't have the space for this! 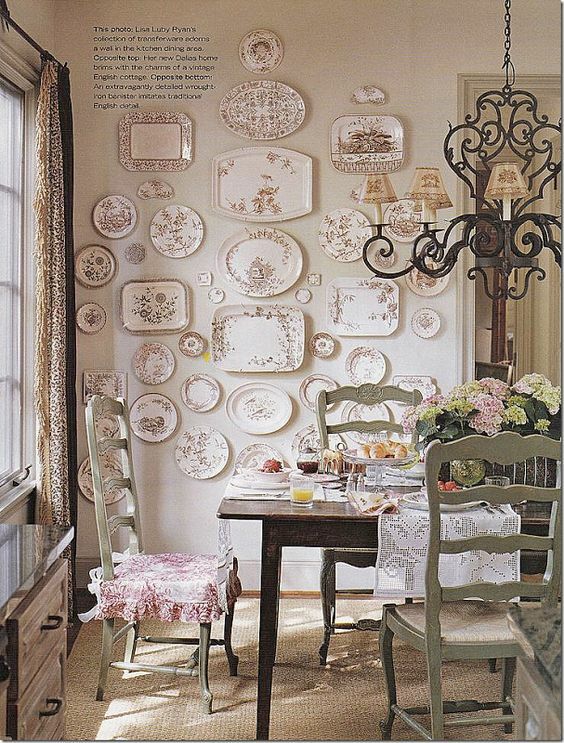 I have a plate wall already. And Tim's been wanting to replace my current desk (which he's never liked) for a secretary style desk. I love them so I'd be happy to change desks! I love the way this space looks beautiful but lived in. This door and the entry space here! That's a dream, but its okay to dream, right? The joy of dreaming and planning is that you can take what you currently have, and begin to style it in the way you love. I have silverplate items that I've found at thrift stores and antique stores very inexpensively. People don't want these items so when their parents or grandparents downsize, these treasures are headed to the thrift store. Whatever style you love, you can do on a scale that fits your home. We're never going to buy a grand country home, but not every country home has to be grand. It just has to be a place of warmth and welcome, and the things that are important to us. They look like you! I like the color of those floors. Of all the rooms, I like the third photo best. It makes me smile like this 😁. 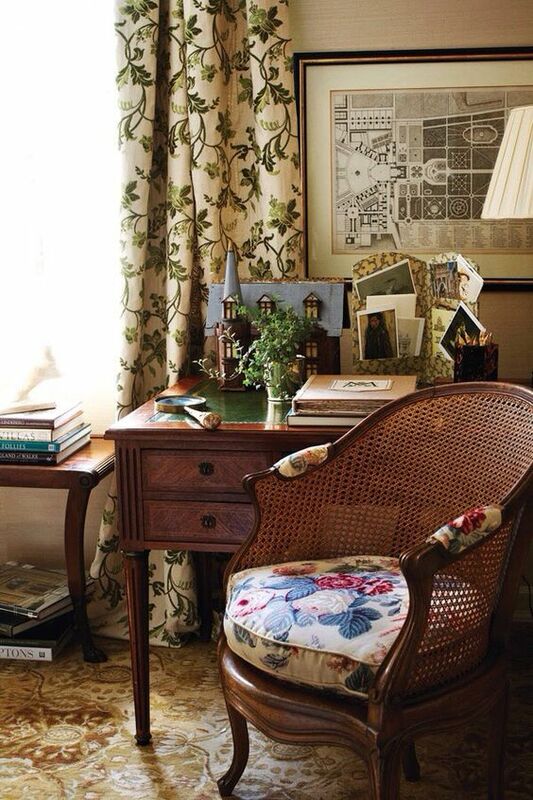 I love a combination of English Country, Early American, and American Primitive. When I talked about this with Stephanie, she reminded me all of these are English since America was British at that time. Hmmm... good reminder. Love the photos! 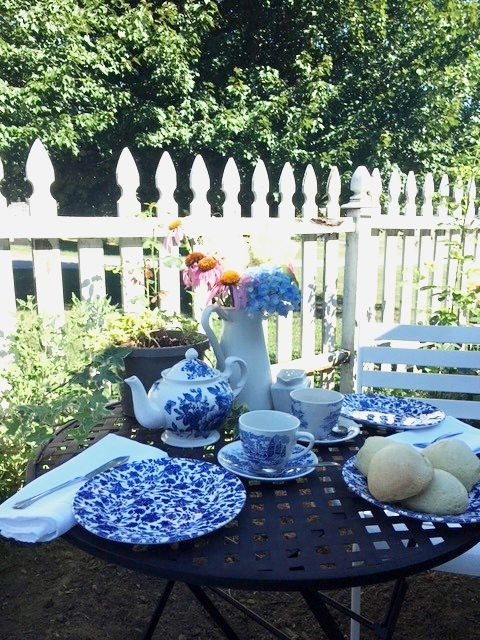 I am itching to do some redecorating, thrift store style:) My daughter's new house has gotten me in the mood to make some changes in my home! LOVE those floors! Have a blessed day dear friend, HUGS! Beautiful! I love those wide plank boards. Every room is just gorgeous! Those floors are just gorgeous! 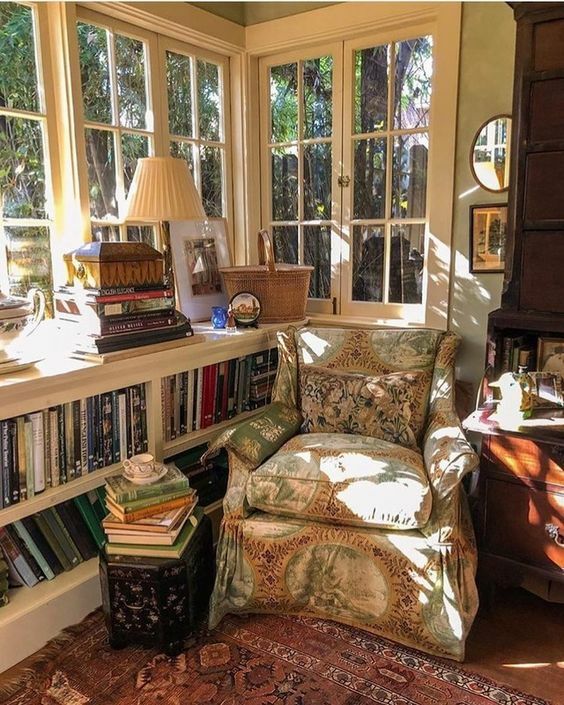 And the first actual room that you showed -- the one with all of the windows and books -- is the one that I like the best. I'd love to jump right into the photo and curl up with that cup of tea! Beautiful!! I don't think it's a stretch for you to move towards this style as I already see common elements! I love all of your inspiration photos! You're on your way . . . 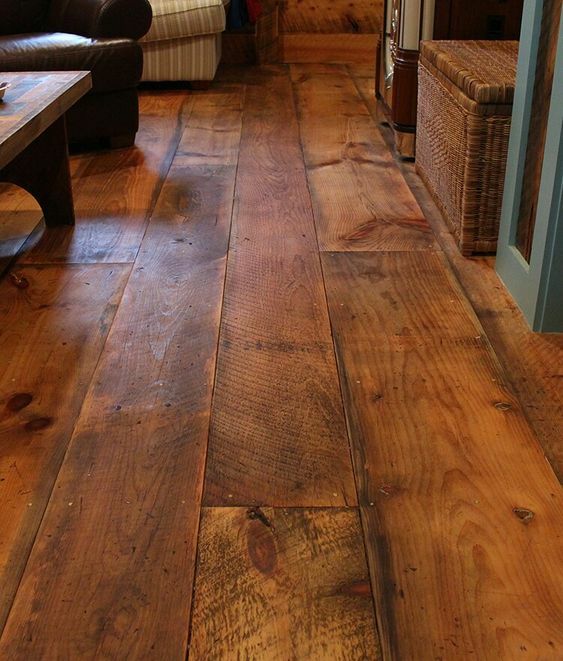 I do love those floors and when we get to finally build that farmhouse, this is exactly what I'm looking for! Great inspiration! Those floors!! They have always been my favorites. 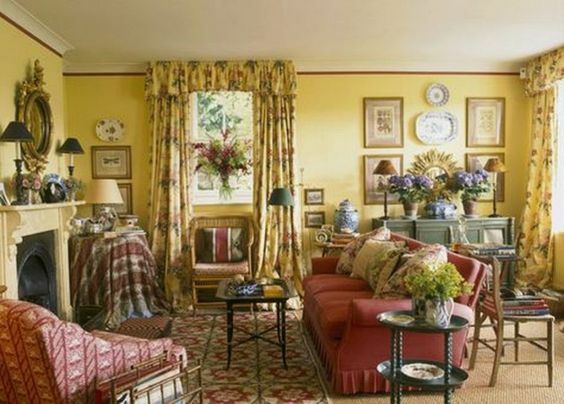 Lucky you....and English Country Cottage is my favorite style. It's so homey and filled with comfy touches. Like you, we furnished our homes with hand me downs thrift store pieces. I like the gathered look. It's budget friendly too...Bonus!! It's always fun to dream and be inspired by things we see. I sure love that wood floor.